Grass not planted after construction. 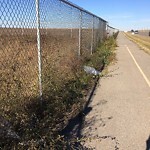 Both sides of walking bridge over Crowchild are overgrown with weeds and tall grass. The lilac bushes are in need of pruning, some are dead. Homeless camps and garbage. 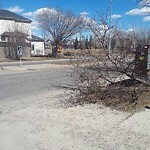 311 Response - Your concern has been forwarded to Calgary Parks. 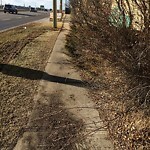 Calgary Parks is aware and investigating. >>>Weeds / grass along fence one memorial bike path at marked location have not been cut all year.